I HAVE ALWAYS LOVED GRAY! …I have loved it and have used many versions and shades of it throughout my home. What I love about GRAY is that is is a color which complements everything, but does not expect to be complemented in return…If Gray were a friend she would be a very good listener …it supports…and lets other colors take center stage…and for this reason…. WINS THE OSCAR FOR BEST SUPPORTING COLOR!!! MY KITCHEN -FLOOR – SHAKER GRAY AND COVENTRY GRAY. WALLS ABOVE DOOR ARE STONINGTON GRAY. A COLOR WHICH ON THE PAINT SWATCH IS DARKER THAN STONINGTON GRAY…BUT WHEN YOU LOOK AT THE WALL (STONINGTON GRAY) IT APPEARS DARKER! THIS IS WAY YOU MUST ALWAYS PUT THE COLORS UP AND SEE HOW THEY APPEAR IN YOUR LIGHT IN YOUR ROOM! THE DARKER OF THE TWO FLOOR COLORS IS SHAKER GRAY…..!!! I Have heard rumblings that Gray is on the way out. So be it…whatever…I think we are so completely over exposed to trends and the ins a nd outs of designs tat we are simply tiring of them faster…I do what I do in my home because I love how it looks..not because it is IN or OUT…that being said. …you won’t find me digging my old avocado oven out of the junk yard! I LOVE they way the grays and the pale grieves in my home allow me to go crazy with color in my art and furnishings ….I do think that gray on gray on gray is a tad sad and such a waste with all that color out there but if that is your thing…Go for it!!! 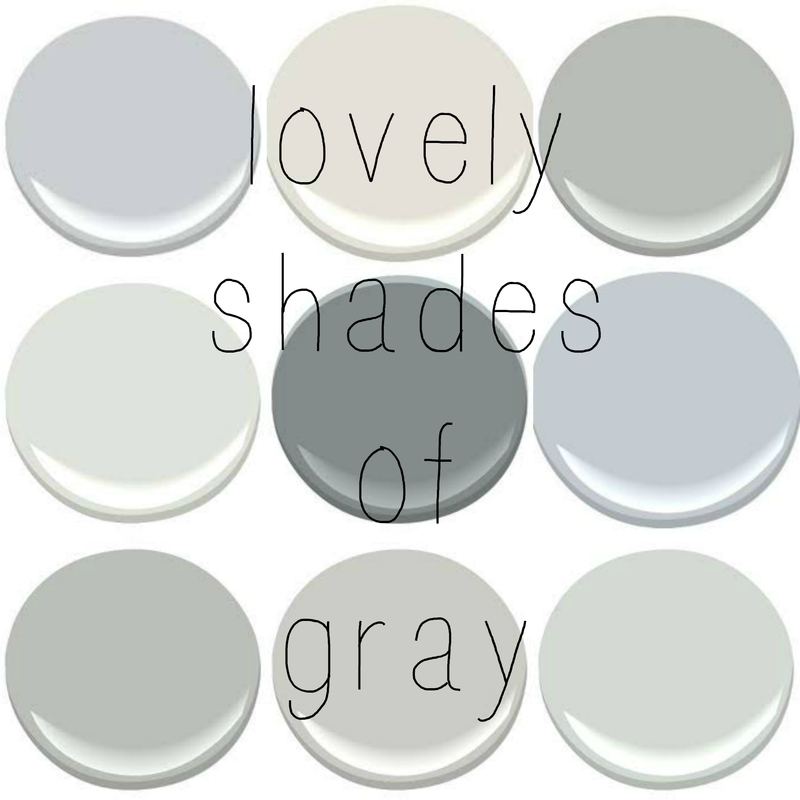 DO YOU HAVE A FAVORITE GO-TO GRAY?? We just painted our bedroom Gray Owl by Benjamin Moore and it is stunning! I love Gray Owl!!! I bet it is beautiful ! Thanks for stopping by Heather! Not sure whay they were so confused. maybe tell them to use a pastel base of Regal Pearl or Eggshell? You may also want to try Benjamin Moore Horizon. I’m looking for a light silvery gray to go on cabinets in my basement laundry room/kitchen-ette. Any suggestions? I’m having a hard time figuring this one out as there are SO many grays! Off the top of my head I love Feather Gray but I am not sure How light you want it. I am out of town but will look up a few and send them to you when I get home! Planning to paint our bedroom gray this summer. Can’t wait yo look at these colors! My bedroom is really dark, only one window that gets light early in the day. Best suggestion for a gray that would brighten it or keep it from looking like a cave? I love your design ideas! I have a huge game room. Entire length of back wall is all 6-8ft windows and doors. wanted to do accent wall (have brick fireplace) Hale Navy…I have some white trim but the floor is bamboo and the wood around doors/window is dark cherryish ..trying to find wall color. Sectional is Mouse color…taupe/grayish, any suggestions to keep it cozy and relaxing? it is a room to hang and watch movies or for teenage girls to enjoy friends. I have a townhouse and I am not sure if I should do wickham or stonington in the living room with Coventry in the dining room. Thoughts of which way I should go? thanks! Really either would be great, but I would lean toward Wickham or even “Titanium” “Horizon” or “Gray Owl”. That being said you may want to try a non gray Like sherwinn williams steamed milk. Is say this because the trend is moving from gray a bit. 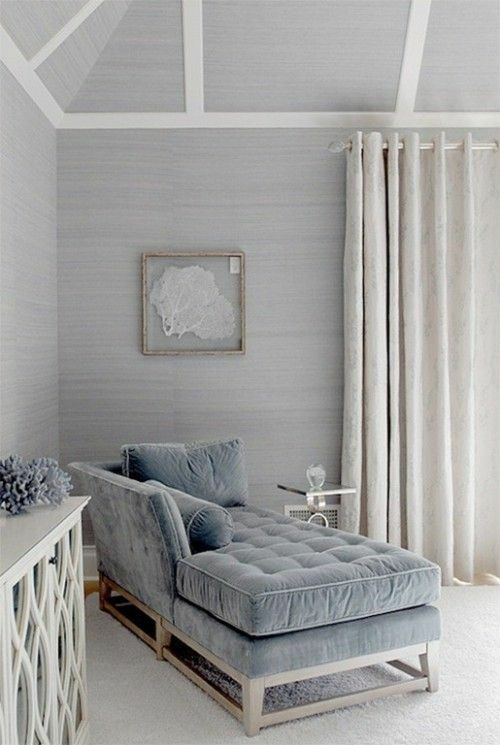 Another nice companion to covetry is “Revere Pewter” Looks amazing in any room of the house. Bit warmer than Wickham. I have used them all and in truth..you will not go wrong using any of these! happy new Year! I love your site! Everything is just gorgeous! I am struggling to find a nice neutral gray, not too blue or cool. I am so curious about your Bergman Gray. Is it just the formula from above or do I need any more info when obtaining a sample from the paint shop? Many thanks!! Thanks! This formula is accurate for Benjamin Moore paint – quart or gallon of the regal satin. I have not had it made up in other brands so this the only one I know. Wickham gray is also great. Love all these colors on screen (just not so sure in my home) and have most of the samples. And of course the more I get the more confused I am. I’m looking for complementary dining room color since it’s open to bm Silvery Moon kitchen. Was going to try Boothbay gray but then was stuck on connecting hallway colors and thought it might be too dark? Also tried gray owl but might want to use it in living room instead …but then again not sure about connecting hallway colors? Ever try bm nimbus? Open floor plans are definitely not easy when choosing paint. Is it easier (but boring) to paint all one neutral color? I have been all over the map with this one. I have Had “ever so slightly” different colors in each adjoining room everywhere on every wall…and currently I have the same color (sherwinn williams steamed Milk” through most of my home. I have to say, right now anyway, I like the look of a similar backdrop, which flows easily from room to room and then adding different accent colors in the rooms to give them each their own distinct personality…with rugs , art, and fabrics choices. Then yu can have a fun pop of color in rooms that do not link to the other rooms, like bathrooms and pantries and maybe even one accent wall. That is the best I can do on this topic. So glad to have found your page! I’ve been searching for the perfect gray forever. Painters are coming on Saturday and I still haven’t decided! I think I’m narrowed down to Stongington (maybe perfect) Gray Owl (maybe too light) or Coventry (maybe too dark). Bedroom furniture is a dark cherry. This will also be the color for the master bath which will have a charcoal colored tile and accents. I’d love to hear your thoughts! Thank you! Stonington is great. Coventry could be dark . Don’t discount wickham which is beautiful and if you go onto my site and look up Berman Gray – I made my own formula for a beautiful gray!! Loving reading about all of your color faves here…looking to paint our dining room Wickham gray and possibly do Hale Navy as an accent wall in the adjacent living room. I have these Pottery Barn gold frames (not a garish gold but more matte and muted) that I’m wanting to put up along our stairwell wall going from the first to second floors. The stairwell wall is in the hallway, in between the dining and living rooms. I’m wondering what a good color would be that will work with Wickham gray and hale navy, and also be a good contrast to help the gold frames pop. Any thoughts? I’ve been looking at different grays but wondering if I should just paint the stairwell Wickham gray…not sure how the frames would look against that color. Looking to paint my master bedroom a gray. So many choices to choose from. Room has 2 windows and gets good sunlight during day. Trim is white. Floor is light laminate. All furniture is white. I just used Wickham Gray in my small entry way and it looks white! I’m so disappointed. Can I take it back and have it darkened? Hi Laura – Thank you! Take a look at Benjamin Moore Wickham Gray or Stonington Gray – they are more arm and will not clash with the cabinets. What are the undertones of Bergman gray? I would love to know more about this color. Hi! I’m looking to find a nice Benjamin Moore paint for our kitchen. Our main area is all Revere Pewter. We have creamish tiles in the kitchen and natural oak hardwood elsewhere. Any suggestions? Our cabinets are currently natural oak, but I plan on refinishing them in white soon. You are spot on about putting lights and darks side by side before finalizing the choices. I put Black pepper on the lower half of my half bath and used Wickham gray on the upper half. I’m going to need to redo the upper half because it looks white next to the darker color. Perhaps Stonington gray will work.